This match will be the first Ukrainian Cup game for Paulo Fonseca. The Pitmen approach this match in a positive mood after two brilliant wins in the Europa League and the domestic league. Shakhtar and Oleksandriya had their most recent games on Sunday, having only two full days for recovery and preparation. Mentors of both sides are likely to make some changes in their respective line-ups. We want to point out that this season, the teams play one game each at every stage of the Cup competition. Oleksandriya are one of the most progressing teams in Ukraine. Last season, the charges of Volodymyr Sharan claimed the right to start in the Europa League qualifying stage following the league season results, but failed to make it past Hajduk, Croatia. Instead, they gained some valuable experience, continuing to demonstrate great performance in domestic competitions. After not the best start to the season (losing to the league leaders Shakhtar, Dynamo and Zorya), Oleksandriya have been steadily gaining points in the domestic leagues. In the last eight games, the Pitmen’s opponents conceded just one goal, enjoying the unbeaten run of five games. Ahead of the cup meeting with Shakhtar, Oleksandriya drew 1-1 with Dynamo Kyiv at home. Currently, the team from Kyrovohrad oblast confidently sit in the fourth spot in the table. According to Volodymyr Sharan, the midfielder Yevhen Banada will not play for the Pitmen due to injuries. 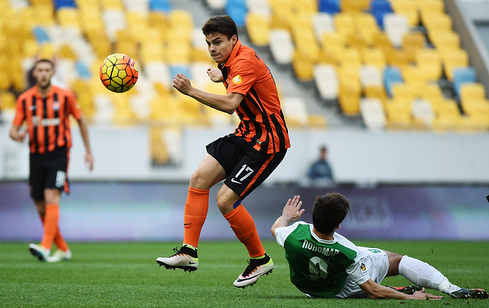 Shakhtar had four cup games against Oleksandriya (previously called Polihraftekhnika). The Donetsk side claimed three wins, with a draw being registered on one occasion. The goal difference is 8-2. The Pitmen acted as the hosts for a single time in the semi-finals in May. After a first leg draw, Shakhtar defeated Oleksandriya 2-0 at the Arena Lviv, with Maksym Malyshev and Wellington Nem scoring one goal either side of the half-time break. Shakhtar are the current Cup holders. Let us remind you that you can buy tickets for this match at the stadium ticket office, online on shakhtar.com and partner sites (kasa.in.ua, internet-bilet.ua, esport.in.ua, tickethunt.net), as well as in retail chain in Lviv (Interpress, Vysokyi Zamok and OT-OT outlets).